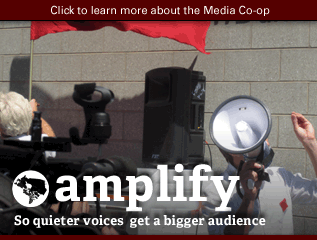 There's lots to discuss at the Media Co-op, and we're due for an annual general meeting (AGM). Attempts to hold the meeting in December didn't reach quorum, so the meeting is being held on Sunday February 25th, 2018. The Co-op's financial year ends March 31st. The Co-op is trying to re-energize and get re-booted after a bit of a lull, so fresh energy is very welcome. Most Board of Director positions will be open for election. 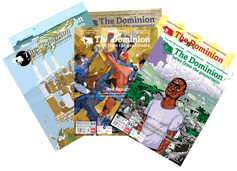 If you want to be an editor representative, a reader rep or a local rep, now's your chance. The Board of Directors steers the organization (making financial and strategy decisions) and sets policy for the Co-op. You can also get involved outside of formal Director positions, and that will be discussed at the AGM. 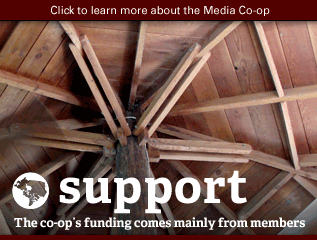 Contact info@mediacoop.ca to make other call-in arrangement (like Skype). 1) Motions: If there is something you'd like to have discussed during the AGM, email us at info@mediacoop.ca with the subject line "Proposed AGM Agenda Item." The deadline to send in agenda items is Sunday February 18th. You can view received nominations at the end of this post, after the proposed agenda. Not-yet-approved minutes from last year's (2016) AGM are available by clicking here. Seeing as the local chapters of the Media Co-op (Halifax, Montreal, Toronto, Vancouver) have not been active in recent months, we propose to declare the locals inactive. To our knowledge, local chapters have not been meeting in the last 12 months. Vancouver and Halifax have confirmed they are inactive. 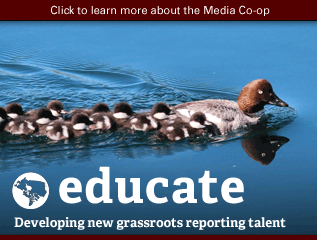 The local structure which grew quickly from 2009 to 2011, while vibrant at times, put considerable stress on the meager administrative capacity of the Media Co-op. In this time of rebuilding, we believe that to survive and rebuild, the Media Co-op needs to focus on core administrative and editorial activities, and then in the future can help foster local media production and leadership where there is energy. Locals were contacted at their email addresses on Feb 15th 2018 to check in on their status. Vancouver and Halifax and Montreal confirmed they are inactive. As of Feb 23, 2018, Toronto had not replied. Some Toronto leaders were also contacted November 28, 2017, about this question to no reply. One editor-reviewed article has appeared on the Toronto site in the last 6 months, and around five (5) editor-reviewed stories have been posted on the site in the last 12 months. 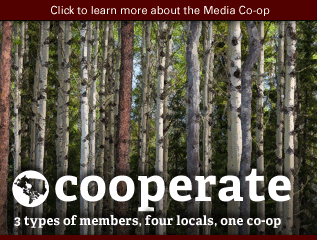 The existing arrangement for revenues from sustainers (monthly donors) who signed up through a local chapter is for a 50% / 50% split between the local chapter and the Media Co-op national organization. With the locals being declared inactive, these revenues will go 100% to the national. Locals are encouraged to declare when they were active until and ask for their funds owed up to that time, and locals may disburse this money as they see fit (eg. for their own activities, to foster other grassroots media in the community, etc). 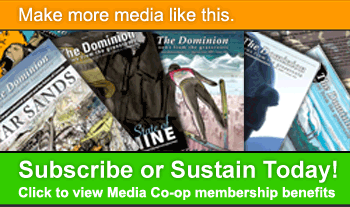 In the case of Halifax, which went on hiatus in 2016, sustainers were contacted by email by the national Media Co-op about what was happening with their financial contributions. The same process will be followed for the other locals, pending availability of contact information of the sustainers. 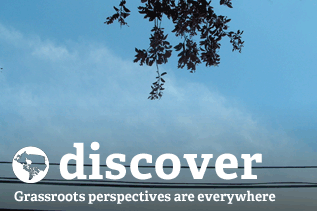 The existing websites of the locals contain many important stories and are a useful archive. 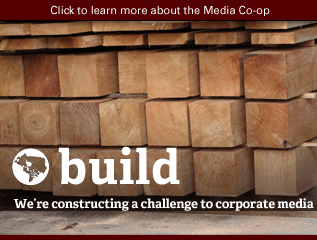 The Media Co-op website will be undergoing a redesign. Websites of chapters will remain available in a way still to be determined (eg. remaining as they are but with a large note indicating the page is closed, or archived some other way). 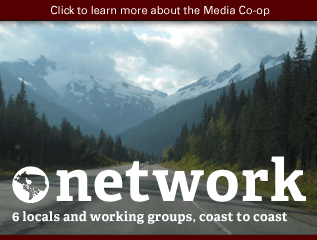 The national site - www.mediacoop.ca - will remain active and content from local communities can continue to be posted there. 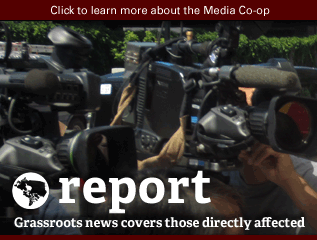 We move that the Media Co-op local chapters of Halifax, Montreal, Toronto and Vancouver be considered inactive as described. My name is Fernando Arce, and I would like to submit my nomination for the Editor Rep position with the Media Co-op board of directors. I have been a freelance multimedia journalist for the last seven years, with published works in several outlets, from This Magazine and The Walrus to Maclean’s and the London Free Press. This experience has shown me many sides of the industry while allowing me to keep autonomy over the issues I feel passionate about, such as environmental justice, Indigenous rights and international relations. Now, given the state of journalism in this country – particularly radical, independent journalism – I feel it’s time I take on greater responsibilities towards ensuring there are platforms to distribute it in the first place. As a journalist, my goal has always been to give people the space to tell their own stories, and to give audiences the opportunity to bear witness in order to better understand them. One example was the work I was able to do with Darlene Necan, an Ojibway woman who took on the Ministry of Natural Resources and Forestry in 2015 in court and won. It was arguably my coverage of the matter – while freelancing with the Two Row Times – that got larger networks like the CBC interested in her story. All of this was instrumental in her victory against the government. My work has always come from a passionate, grassroots perspective which has prioritized the voice of the marginalized. As the volunteer editor-in-chief of a student-run magazine from 2012-13, I had the opportunity to do just this when I helped grow the publication from a business-oriented magazine into a political platform that featured many new and seasoned talented writers discussing unique and thought-provoking issues. My search for stories and, more specifically, for people struggling for social justice, has taken me as far as as Washington, D.C., Venezuela and, most recently, Ecuador. My commitment to the communities in which I have worked and to the people I have spoken with has afforded me the kind of trust needed to bring many of these personal and, often times, painful stories to light. I am excited to have the opportunity to join a co-op like yours which not only provides a greater space for radical journalism, but which uses it as a vehicle of social change. La Coop Média tiendra son assemblée générale annuelle (AGA) le dimance 25 février, 14h00 heure CST (15h00 HNE), et vous êtes invité.e.s! Presque tout conseil d'postes de directeur de cette organisation nationale sera ouverte à l'élection, donc si vous voulez être un représentant de l'éditeur, un représentant de lecteur ou un représentant local pour Montréal ou Vancouver, est maintenant votre chance! 1) Propositions: S'il y a quelque chose en particulier que vous aimeriez discuter durant l'Assemblée générale, laissez-le nous savoir en nous envoyant un courriel avec le titre''Proposition de points pour l’ordre du jour de l'Assemblée générale''. La date limite pour nous envoyer vos points à mettre à l’ordre du jour est le 18 février.